Taylor USA is now Filament Brands! Taylor Precision Products—parent company of the Rabbit, Chef’n, Taylor, Salter and Springfield brands—is now known as Filament Brands. The company said its rebranding, which includes a new logo and website, reflects its evolution as a company as well as its vision and groundwork for the future. “The company chose Filament after brainstorming over a few months and considering over 100 names,” said CEO Rob Kay. “We wanted to choose a name which conveyed our culture and mission. We are an innovation engine and focus on great ideas and bringing them to market. Filament conveys this message. Spark. Create. Lead. SO WHAT MAKES UP THE NEW BRAND? Chef’n – Founder David Holcomb launched his first invention in 1982 on the principle that kitchen products could be smarter, easier, and a lot of fun. Since then, the company has been moving in fast forward with a passion for innovation in our products, our operations, and our people. The entrepreneurial spirit David instilled in the Seattle-based company has fueled creativity in both the design and business arenas. 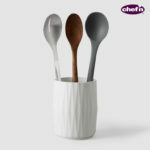 Chef’n remains on the cutting edge of innovation and has won numerous design and best-companies-to-work-for awards. Rabbit – Founded in 1983, Rabbit is the leading wine and barware brand in the United States. Rabbit creates well designed and functional wine, beer and bar tools for everyday entertaining. Our products aim to help you open wine faster, chill whiskey longer, and keep beer fresher, so you can spend more time enjoying. 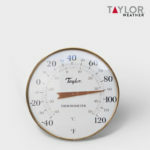 Taylor – Taylor is home to a market leading product portfolio across the kitchen measurement, bath scales, and weather instrument categories. Taylor’s innovative solutions, responsiveness, quality and reliability, coupled with a host of category management solutions, provides retailers with a turn key solution and valued partner. If you have any questions or interested in any of the new Filament Brands, please reach out to our Brand Champion, Jimmy Velotas.